More than 200,000 people visited last week’s Intermat exhibition in Paris, which the organiser, Comexposium, said was a record. The previous high was set in 2006, when 209,000 people went to the show. Comexposium also said that the number of identified trade visitors was up +15.8% on the 2009 show, at 145,082 people, with 34.2% (49620 visitors) coming from outside France. 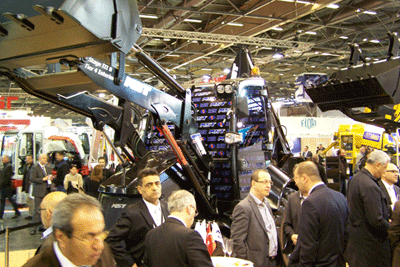 Some 1350 companies took exhibition space at Intermat, two thirds of where were from outside France. The organisers also reported that significant orders were signed during the exhibition. “The total value of the equipment on display over the six days was estimated at US$ 2 billion, some 5% of which translated into orders, an equivalent of approximately US$ 100 million,” said exhibition manager Maryvonne Lanoe.